Belmont alumnus CJ Solar recently signed with WME for exclusive agency representation. The singer/songwriter also signed with Dreamcatcher for all other aspects of career management. Solar’s signing comes following the success of his hit single “American Girls,” which was released in early 2018. Solar graduated from Belmont University in 2014 with a degree in songwriting, and since then he has put his degree to use. Recently, Solar co-wrote Morgan Wallen’s No. 1 song “Up Down” featuring fellow alumni Florida Georgia Line. He has also written songs recorded by artists such as Jerrod Niemann, Justin Moore, Mike Ryan and Kyle Park. Shortly after graduating from Belmont, Solar signed with Sea Gayle Music Publishing to continue his music career. Solar’s EP titled “Get Away With It” was released earlier this year and is seeing success similar to his single. Originally from Baton Rouge, Solar draws influence from Cajun style music and Southern rock. 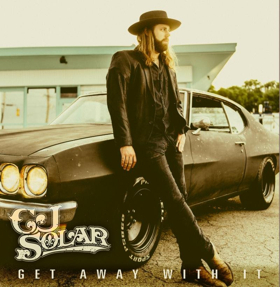 He has been named one of Rolling Stones “New Artists You Need To Know,” and by Taste of Country as a part of the “5 Country Artists to Watch in May 2018.” In addition, Solar has also opened for artists such as Lynyrd Skynyrd and Hank Williams Jr.